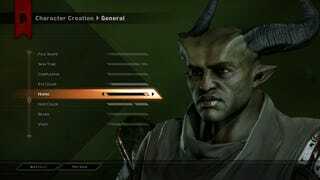 Dragon Age Inquisition: Who is your Inquisitor? If you're a fan of Dragon Age then it is most likely that you're either playing or waiting to play Dragon Age Inquisition as of this writing (my one should be delivered at lunchtime). As such, we probably have a good idea of what are character is/going to be. Let us reveal our characters. Me: Female Qunari Rouge with a British voice and has a sarcastic personality. Also for the people using the Keep, how is it going, does everything import alright?